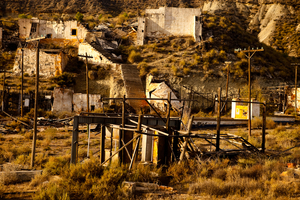 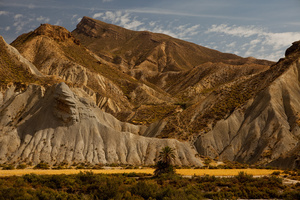 "Once Upon a Time in Almería" documents a forgotten legacy of moviemaking in the desert landscapes of Almería. 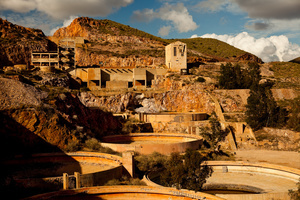 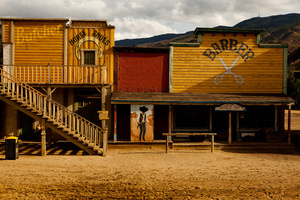 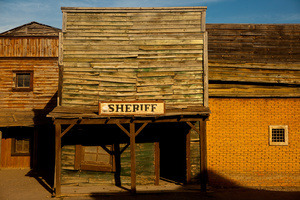 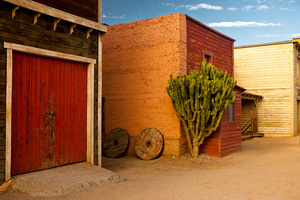 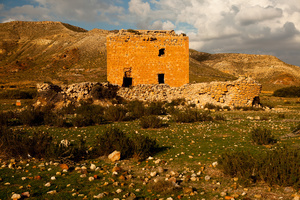 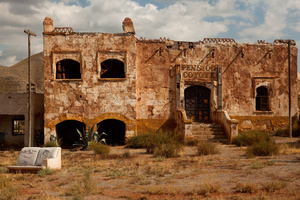 During the 1960s and 1970s, the region of Almería, Spain, was host to dozens of filmmakers who constructed elaborate movie sets, invoking locations from the American Southwest to Bedouin Arabia. 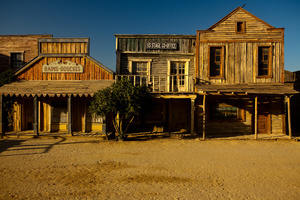 Films shot here include Cleopatra, Lawrence of Arabia, Patton, and Sergio Leone’s spaghetti westerns starring Clint Eastwood. 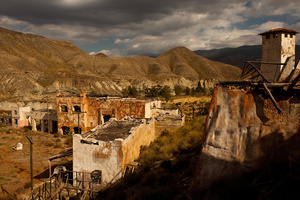 Film directors sought to manipulate the otherwise uninhabitable landscape in order to create a world more imaginary than real. 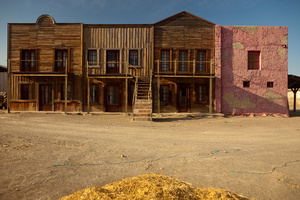 Four decades later remnants of the old movie sets remain in the desert, providing seemingly tangible evidence of human settlements that never really existed. 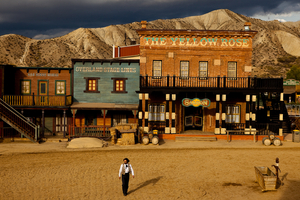 This series of photographs focuses on the architecture and locations used in classic films over the years. 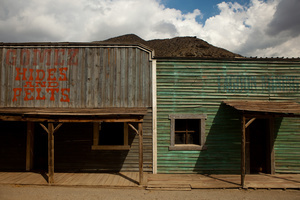 Some of the buildings shown were constructed solely as temporary sets, while others are pre-existing structures with their own history, discovered and reused by foreign movie directors.